Vuly's collection of trampoline designs continues to innovate, with the Lift Pro. Boasting supreme safety and truly innovative design that the Vuly brand has become renowned for, Lift Pro provides a state of the art bouncing experience that's ready to enrich your backyard. 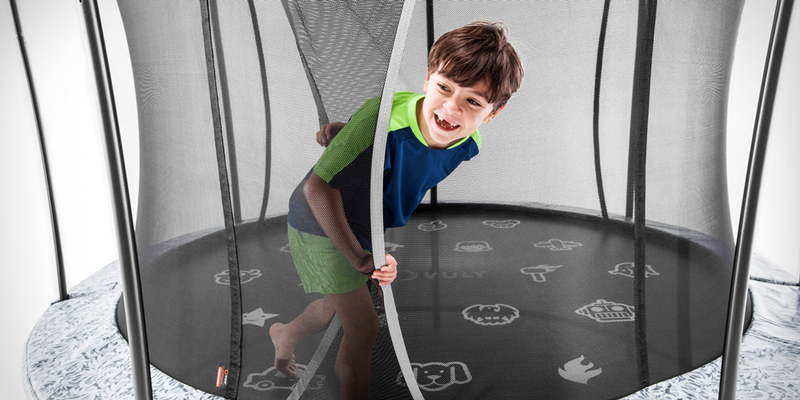 Jump into a new way of life with Vuly’s Lift Pro trampoline. With a premium design and quality materials – at a competitive $799.99 price tag – Lift Pro blends the best of Vuly’s leading technology with affordability. Our self-closing, easy-to-open net door makes getting in and out of the Lift Pro a breeze, while the ultra-fine mesh ensures that any little fingers and toes are kept safe. 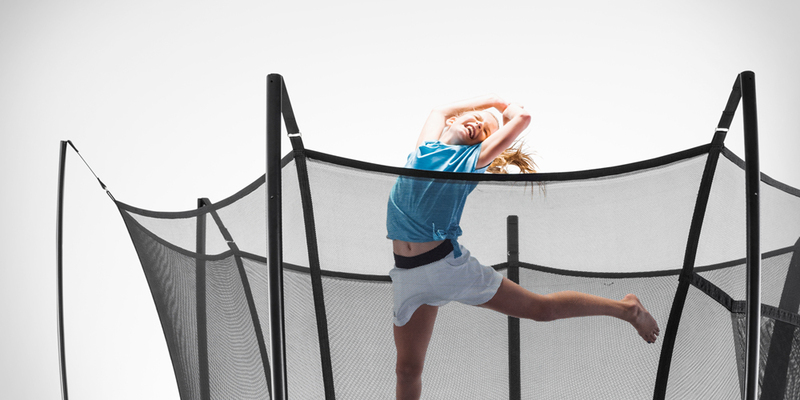 Compared to other trampolines, catching and tearing is far less likely. We're further ahead on safety thanks to Lift Pro's no-contact design; the frame and springs are well outside of contact areas, to ensure accident-free bouncing. Double-sided Bisonyl padding, which is resistant to fading and weakening, ensures complete protection within the trampoline’s bounce zone. Our advanced padding attaches directly to the springs, and also includes drainage holes to avoid water-pooling. Lift Pro provides an even stronger bouncing foundation – with twice-dipped galvanised metal framing that's finished in a matte black powder-coating – that protects the trampoline from corrosion. Our special, two-tiered spring system features tapered ends, thicker hooks and chromate conversion coating that increases strength and durability. Can decide whether the Vuly Lift Pro is the right trampoline for your family? We’ve compared it to our entry-level Lift trampoline to help you work out which is the best fit for your needs! Do you want the enclosure on your trampoline to be less abraisive, while still offering excellent support? Choose Lift Pro for its soft, Terylene net. Do you need superior UV-resistance on your enclosure because your trampoline won't get much shade during the day? Choose Lift for its hardy, Polyethylene net. Do you want the best aesthetics for your backyard and a frame that'll last for the longest possible time? Choose Lift Pro for its added matte black powder-coating. Do you want strength and stability and don't mind about bells and whistles? Choose Lift, with its twice-gavalised tubing. Feel like grey and blue match your backyard? Choose Lift Pro for its flippable padding colours of Classic Blue and Cool Grey. Think yellow and blue are more your style? Choose Lift for its flippable padding colours of Classic Blue and Electric Yellow.